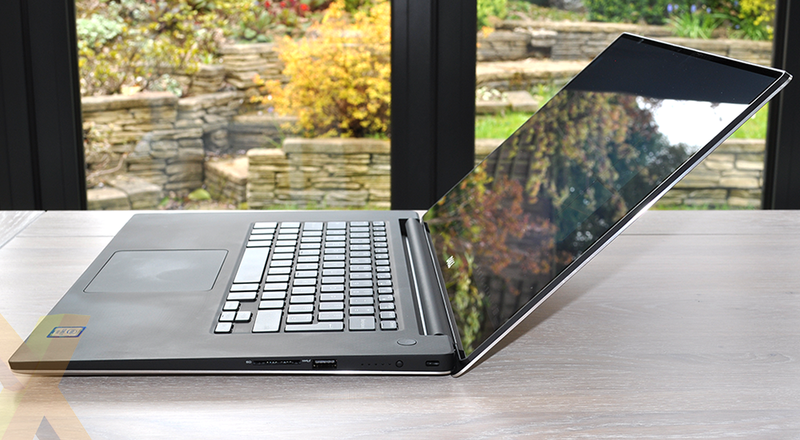 Laptop design has evolved beautifully over the course of the past decade. Compare a 2016 machine with one from 2006 and you'll typically find it to be thinner, lighter, faster and far more attractive to look at. But the push for a sexier profile isn't always a good thing. Thinner, smaller laptops aren't quite as productive, performance can be sacrificed, and you often tend to lose out on something rather important, be it all-day battery life, a well-stocked array of I/O ports or something as simple as an optical drive. 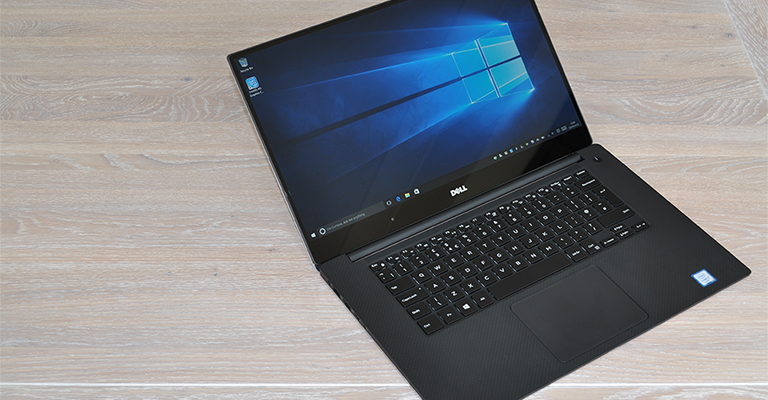 Dell reckons it can overcome some of those challenges and combine the sleek design of a modern machine with the performance and usability you'd expect from something larger. 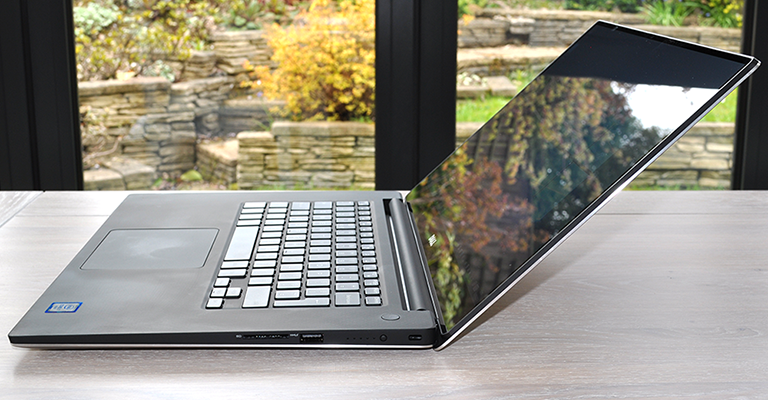 Enter the XPS 15. 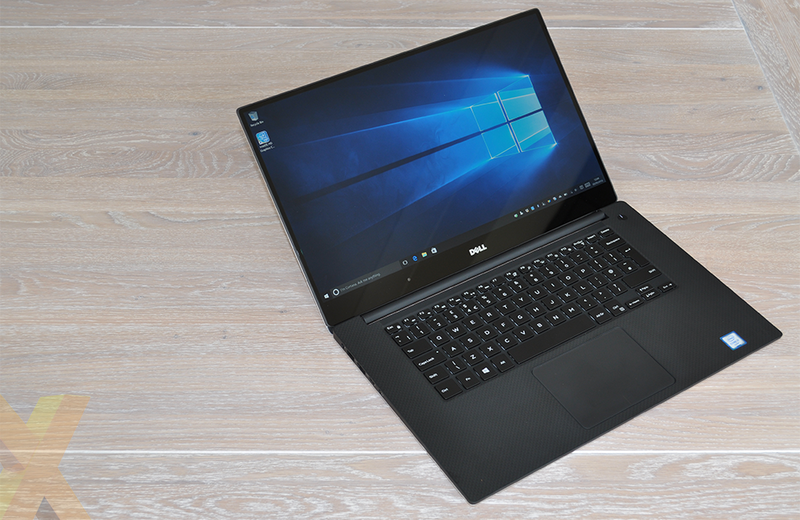 Priced from £999 and conforming to our expectations of a premium, modern-day laptop, the XPS 15 is eye-catching in appearance yet also familiar. That's because the system is, for all intents and purposes, an enlarged variant of the trendsetting XPS 13 launched early last year. 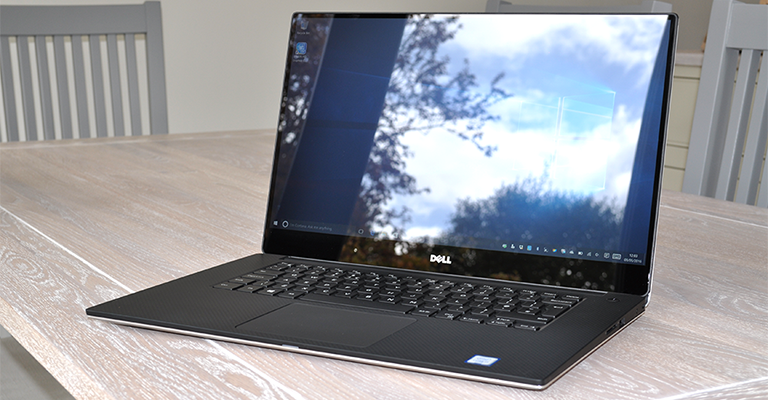 The larger form factor has allowed Dell to squeeze in a 15.6in display, yet with an InfinityEdge design (i.e. very small bezels), the system's size has been kept to 357mm (W) x 235mm (D) x 11-17mm (H). That isn't a great deal bigger than most 14in machines, though, if we're being picky, the 2kg weight isn't quite as easygoing as the 1.3kg XPS 13. Still, it has the look of a high-end PC, and Dell's combination of aluminium chassis and carbon fibre palm rest delivers plenty of rigidity as well as a quality feel throughout. The palm rest, in particular, feels lovely to the touch. This is one of the best-looking 15.6in Windows laptops currently available, yet going up in size hasn't proven to be easy. Although the initial round of reviews were quick to sing the XPS 15's praises, end users have since reported niggling issues relating to problematic WiFi, a temperamental implementation of Nvidia Optimus, unexpected BSODs and imperfect build quality centred around misaligned I/O ports. 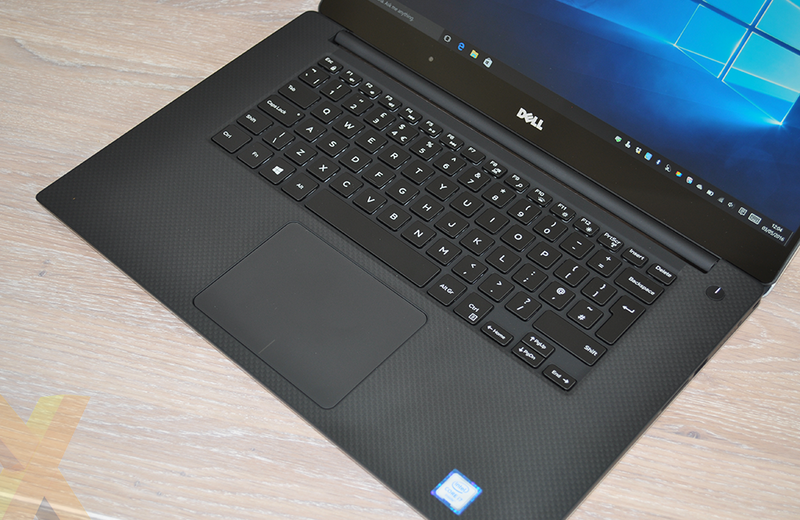 Not the ideal way to launch a premium PC, yet to Dell's credit a wave of firmware and driver updates appear to have ironed out many of the aforementioned bugs. Being an early adopter tends to come with a caveat or two, but fast forward a few months and our review sample hasn't skipped a beat. Save for the frequent nagging of McAfee Internet Security, those of you sat on the fence don't appear to have anything to be worried about. What makes the XPS 15 particularly attractive is its positioning as "the most powerful XPS laptop" Dell has ever built. The baseline configuration includes a Core i7-6700HQ processor, 8GB of DDR4 memory, a 256GB PCIe SSD and dedicated Nvidia GeForce GTX 960M graphics. Not bad for £999, however the entry-level spec includes only a 1080p screen without touchscreen capability. Our beefier review unit fetches £1,649 and attempts to warrant that outlay with a few key upgrades that include 16GB of DDR4 memory, a roomier 512GB PCIe SSD and a lush 4K Ultra HD display. The CPU and GPU combination remains unchanged. A healthy set of hardware for a system as thin as this, yet for a 15.6in machine the number of I/O ports is limited. The laptop's left edge is home to a power connector, USB 3.0, HDMI, Thunderbolt 3 and a headset jack, while the right edge is equipped with an SD card slot, a second USB 3.0 port, a battery gauge and a Kensington lock slot. We'd quite happily swap the battery gauge for mini DisplayPort or another USB, and if you need to stay connected to the web via wire, note that there's no USB-to-Ethernet adapter provided; it's a £41 optional extra. 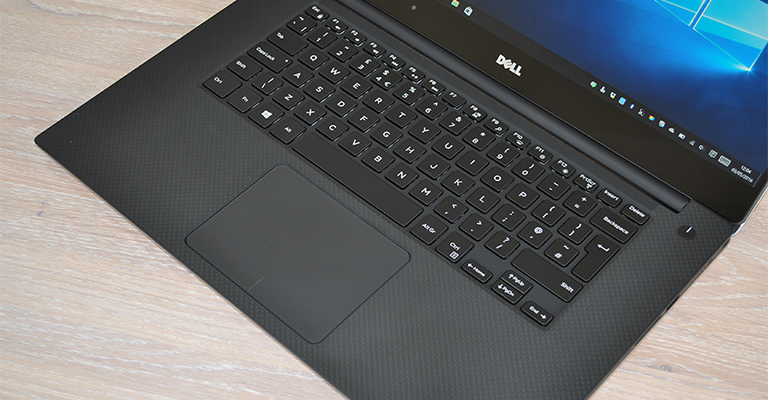 Having a great keyboard can be just as important as the underlying hardware, and the good news here is that Dell scores well in terms of comfort and usability. The backlit keys are a decent size and well spaced, with no unnecessary complications to the layout. Key travel does feel a tad limited, as is the case with most thin PCs, yet this is one of the better laptop keyboards available. It's not quite a match for, say, the contoured keys of a Lenovo ThinkPad X1 Carbon, but it's a close-enough second. Keeping things simple yet satisfying, the XPS 15's accompanying trackpad is roomy, responsive and perfectly capable of recognising multi-touch gestures. Windows trackpads have improved to such an extent that our only criticism of this one is that the integrated buttons could be quieter when pressed. There's already a lot to like, and we haven't yet discussed what's arguably the XPS 15's crowning feature: a 15.6in IGZO IPS touchscreen that's a real feast for the eyes. Dressed in InfinityEdge guise, the display appears to blend into the edges of the laptop, courtesy of the top and side bezels measuring just 5.7mm. Implementation is excellent, and the display is rather tasty, too. The premium panel on our review sample offers a 3,840x2,160 resolution that in addition to providing extra on-screen real estate makes for outstanding clarity. Text and icons appear particularly sharp, and productivity types are going to appreciate some of the panel's other niceties. According to Dell, this is the only laptop capable of displaying 100 per cent of the Adobe RGB colour space, and wide 170º viewing angles are the icing on the cake. It's a delicious panel, but it falls just shy of perfect. Outdoor viewing can be problematic due to the glossy finish of the Corning Gorilla Glass NBT coating, and as a consequence of the thin top bezel, the integrated 720p webcam has been moved beneath the display. This means having to tilt the screen back to find an optimal angle during video calls, and though it's hardly a deal breaker, it's worth bearing in mind if you happen to rely on your laptop's webcam. We expected the display to be stellar, and we're also pleasantly surprised by the accompanying Waves MaxxAudio Pro speaker system. Sound output is crisp and clear, and though there isn't much bass to speak of, we were taken aback by the sheer amount of volume. XPS 15 is easily capable of filling a mid-sized room with music. A laptop billed as "the smallest 15in laptop on the planet" has a lot to live up to. XPS 15 has met most of our expectations thus far, so let's now see if performance is up to scratch.